Birkenhead Priory is a unique family outing – experience the history, wonder and beauty of this 850 year old site. Click below to vote for us at the Liverpool City Region Tourism Awards 2019! 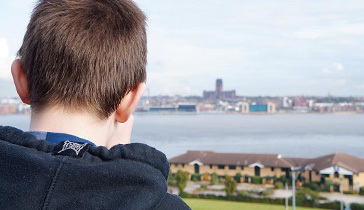 See some of the best views of Liverpool's famous waterfront from the top of the 25m tower. 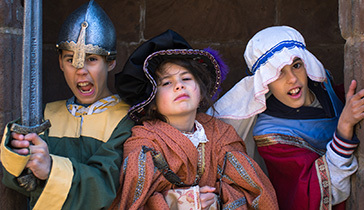 Get into the spirit with our historical dressing-up box. Including Medieval, Civil War, World War One and Tudor style costumes. A fab family Photo opportunity. Book a tour of the site or come along and chat to out friendly staff and volunteers who are happy to show your around the site. 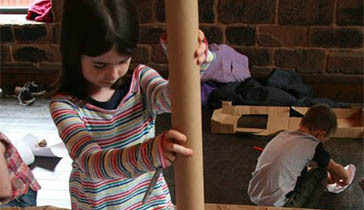 Explore the church yard and then make rubbings on copies of the ancient gravestones of past Priors buried on the site. Birkenhead Priory with a history including royalty, the birth of a city, and a religious life, the priory is the gateway to understanding how the Wirral grew over almost 1,000 years. Child friendly – families welcome! The Chapter House is owned by the Church of England and is part of Birkenhead Priory Parish in the Diocese of Chester. The Priory Parish, which takes its name of the Priory, also includes Christ the King, Beckwith Street (previously known as St. Anne’s Church). The parish covers the town centre and surrounding housing (population 11,105). Above the Chapter House is the Scriptorium. This is now the home of the Friends of HMS Conway, a training ship which formerly stood in the River Mersey off Rock Ferry. The Scriptorium also serves as a small chapel where services are held two or three times a year. 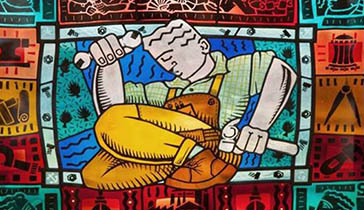 New stained glass windows have now been installed, commissioned by Old Conways and designed by the late David Hillhouse. Planning a visit to the The Priory? Download this resource to help you get the most from your visit! Please contact info@thebirkenheadpriory.org to discuss your trip.